Situated in Loches, this hotel is within a 15-minute walk of Porte Picois and Chateau de Loches. Lac de Chemillé and Château de Montrésor are also within 12 mi (20 km). Loches Station is 16 minutes by foot. 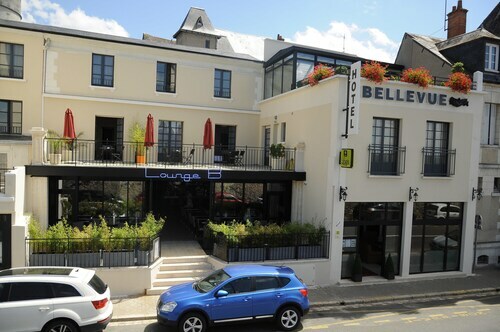 Located in the heart of Loches, this hotel is steps from Collegiale de St-Ours, Chateau de Loches, and Porte des Cordeliers. Porte Picois and Musee Lansyer are also within 10 minutes. Loches Station is 6 minutes by foot. 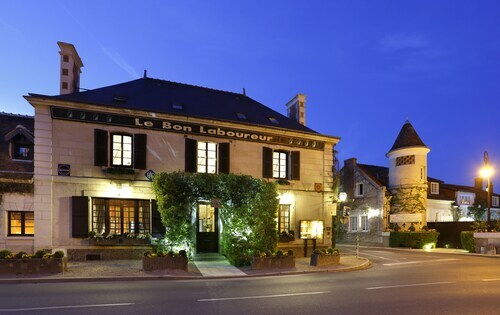 Situated in Loches, this hotel is within 1 mi (2 km) of Porte Picois and Chateau de Loches. Lac de Chemillé and Château de Montrésor are also within 12 mi (20 km). Loches Station is 19 minutes by foot. Situated in the historical district, this residence is within a 5-minute walk of Porte des Cordeliers, Porte Picois, and Chateau de Loches. Collegiale de St-Ours and Musee Lansyer are also within 5 minutes. Loches Station is only a 4-minute walk. How Much is a Hotel Room in Loches? 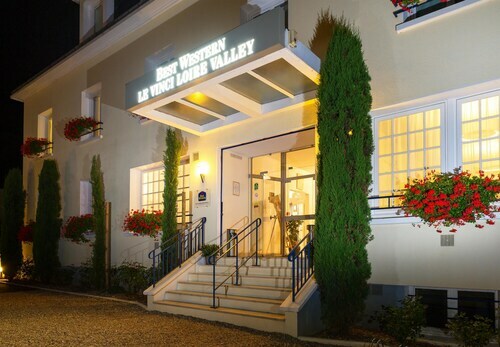 Hotels in Loches start at $60 per night. Prices and availability subject to change. Additional terms may apply. Within a 6-mile (10-kilometer) distance of the heart of Loches, through Travelocity's reservations page you can discover a limited, yet excellent offering of places to rest your head. 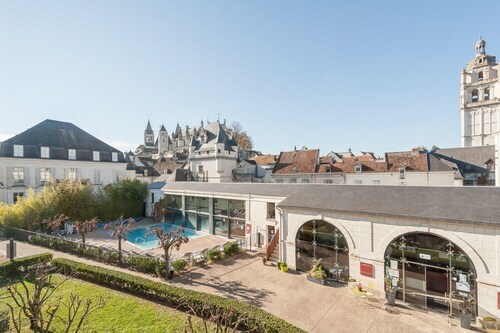 Loches has 4 well regarded apartments and hotels within a 6-mile (10-kilometer) radius. 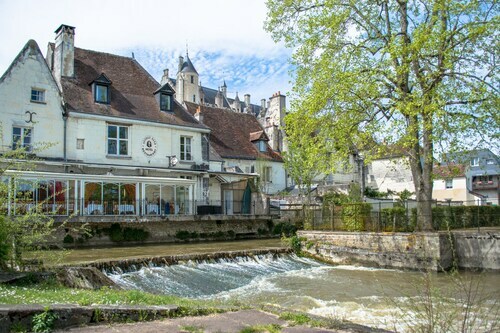 Loches's business distict is within strolling distance of great hotels such as Pierre & Vacances Residence Le Moulin des Cordeliers Loches and Hotel Luccotel. The Château de la Bourdaisière can be found about 18 miles (30 kilometers) away from the center of Loches. 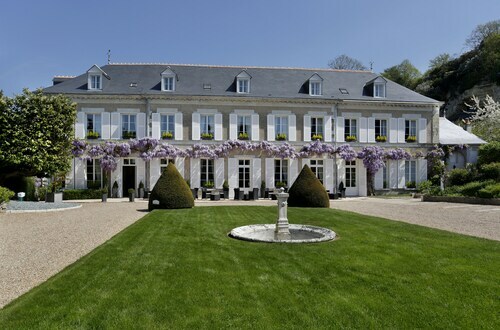 Another accommodation option is the Du Chateau de Chissay, which is situated 17 miles (27 kilometers) away. Alternate Travelocity-registered hotels are the Le Château de Reignac and the Relais du Silence Domaine de La Tortiniere. The wider Centre - Loire Valley region is definitely worth having a look at too. Discover Centre - Loire Valley's castles and traditional villages and enjoy the area's rural landscapes. Wise travelers in this section of France can enjoy cycling and cycling tours. 25 miles (37 kilometers) to the northwest of Loches, you can reach Tours, which is where you can spend a few hours exploring Tours Cathedral and Vinci International Convention Centre. A few Travelocity-listed Tours places to base yourself include the Clarion Hotel Château Belmont Tours and Oceania L'Univers Tours. 25 miles (42 kilometers) northwest of Loches, you'll reach Azay-le-Rideau, which features the Le Grand Monarque and Hôtel Troglododo. The Les Goupillieres and Chateau Azay-Le-Rideau are frequented sites to visit when visiting Azay-le-Rideau. If cheering on sport is what you love, don't overlook a visit to Stade de la Vallee du Cher, which you can find 20 miles (34 kilometers) to the northwest of Loches. Find a Travelocity-listed room right by the action at the Art Hôtel Rochecorbon or the Best Western Central Hotel. 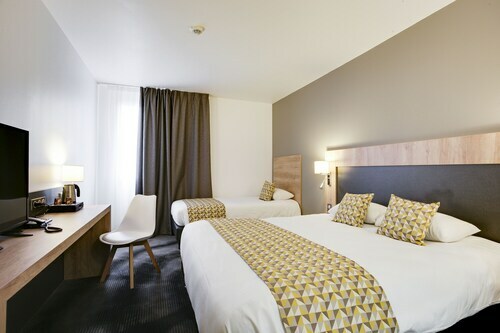 For those travelers planning on arriving or departing via Tours - Loire Valley Airport, you may like to book a bed at Mercure Tours Nord, or Alliance Hotel Tours Centre, which are both a short distance away. 5.0 Great location in Arles center! Cannot say enough about our stay! The owners and staff were exceptionally friendly. The hotel was walkable to all of the Centre sites, shops and cafes. The room (12th century building) was beautiful and updated. Complimentary petit dejunier (breakfast), we enjoyed on the shaded patio (the only hotel in France we stayed at with this lovely feature). And complimentary parking too. The beautiful winding staircase could be challenging. We booked two rooms thru Travelocity. When we arrived, the hotel only had one reserved despite what Travelocity showed. They were "booked" yet somehow came up with another room for us which was great. Hotel had wonderful amenities: mini golf, pool, pool table that were great for our kids. View from dining room was spectacular. Great accommodation with with pleasant garden and outdoor patio areas for reading, relaxing and/or eating. Walking distance to Chateau de Chenonceau. 2 years ago by A verified traveler from Venice, Fl. It seemed that the location was rather odd, in a residential neighborhood. Not close enough to walk to anything. However, there was plenty of pay parking in town. Although English was spoken, there was definitely a lack of communication. My French is rusty so I really appreciated that the effort was made. The facility was very clean and comfortable. We were visiting a nearby attraction and picked this hotel based on the pictures and it was a treat to stay here. The gardens were wonderful and so unique. Our room was beautiful and overlooked the court yard. I would go out of my way to stay here again.